One of the annoying things about action cams is that you need to worry about having a different mount system for various activities. The POV Kit is a simple way to use just the strap of a backpack to help record your proudest escapades. The kit is actually an add-on to the existing Capture Clip system. The Capture Clip secures to your belt or strap, providing a quick-release mechanism for attaching a camera. The POV simply provides a GoPro mounting accessory. If you don't have a GoPro, rest assured. The kit also includes a way to attach any small camera with a tripod mount. 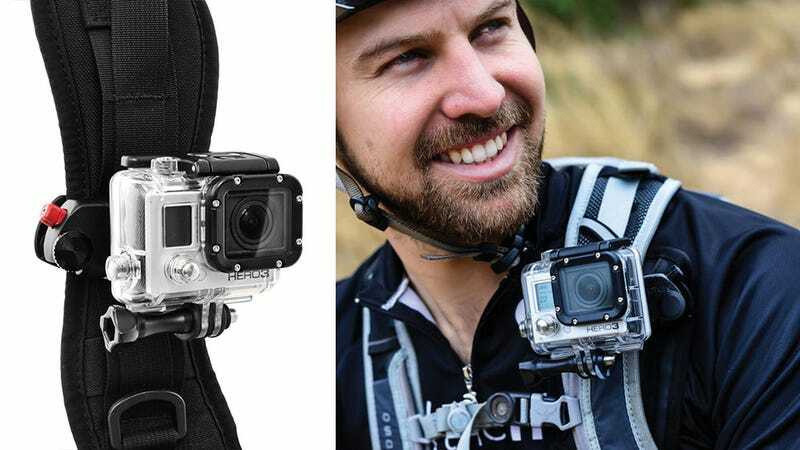 Since action-cam chest straps can be like putting on a straight-jacket, the POV Kit looks like a more minimal solution. There is the question of just how tight your backpack has to be strapped on in order to avoid your GoPro bouncing too much. If you watch the YouTube video that went with the Kickstarter campaign that initially funded the POV Kit, it looks like it works pretty well in a variety of scenarios.